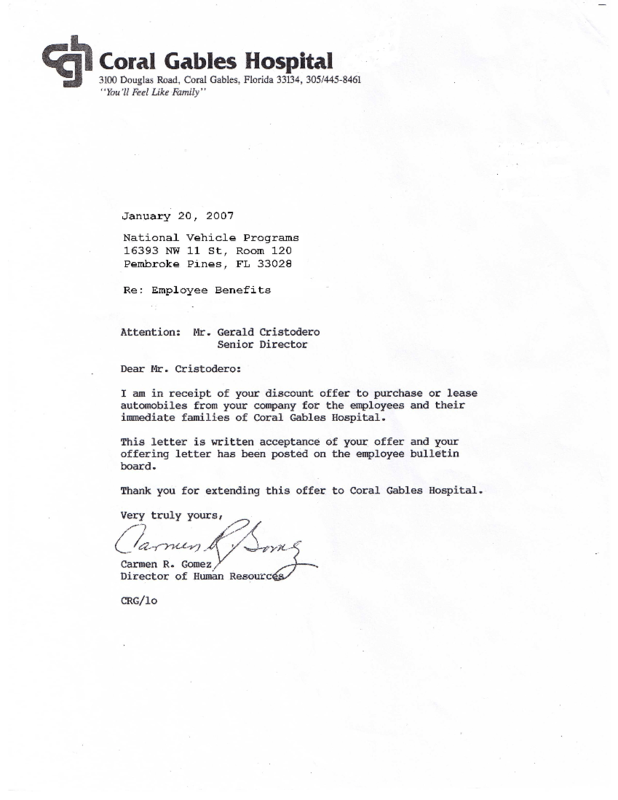 Listed is an acceptance letter from Coral Gables Hospital in South Florida to the NBP supplemental benefits programs. You may click on the below image to see the full size letter. I am in receipt of your discount offer to purchase or lease automobiles from the company for the employees and their immediate families of Coral Gables Hospital. This letter is written acceptance of your offer and your offering letter has been posted on the employee bulletin board. 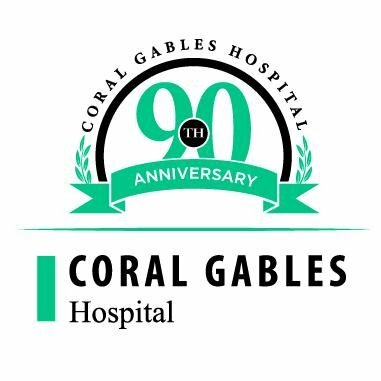 Thank you for extending this offer to Coral Gables Hospital.